A ticket to the ICML tutorials grants access to ICML and AAMAS tutorials. 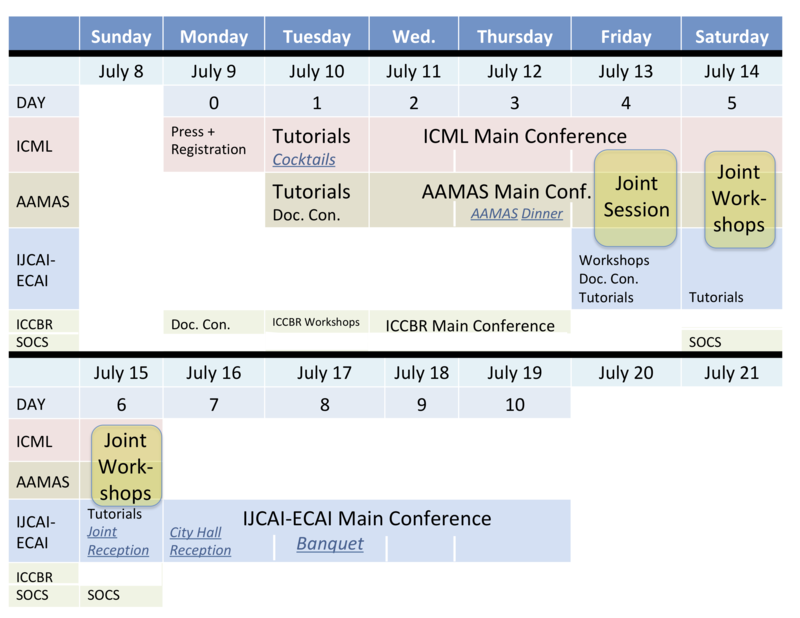 A ticket to the ICML main conference grants access to ICML and AAMAS main conferences, as well as FAIM Friday workshops. A ticket to the ICML workshops grants access to all FAIM Saturday and Sunday workshops. There is no cross-registration with COLT.